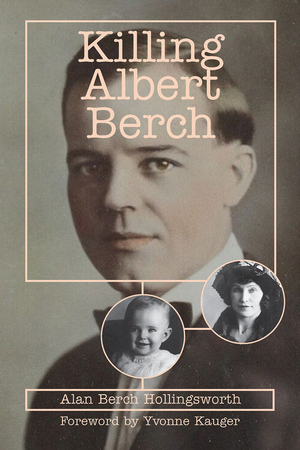 In 1923 Albert Berch was murdered at the hotel belonging to him and his wife in the town of Marlow, Oklahoma. While ostensibly Berch dies trying to protect his African-American porter from an angry mob, after his death the case unravels revealing layers of deception on all sides. By tracing his family history, Dr. Alan Berch Hollingsworth discovers that everyone had something to hide. Why did his grandfather insist on hiring an African-American porter, violating the era’s Jim Crow segregation laws? How was the KKK involved in the violence? As he unlocks the secret to his grandfather’s murder, Hollingsworth uncovers a story of racial violence at the turn of the last century that resonates to this day. Dr. Hollingsworth is a breast cancer specialist who focuses on early detection. His work has earned him national recognition in the field. He serves as Medical Director of Mercy Women’s Center in Oklahoma City. Yvonne Kauger earned her JD in 1969. She was appointed to the Oklahoma Supreme Court in 1984, serving as Chief Justice from 1997-1998. In 2001, Justice Kauger was inducted into the Oklahoma Women’s Hall of Fame. By Alan Berch Hollingsworth, M.D.